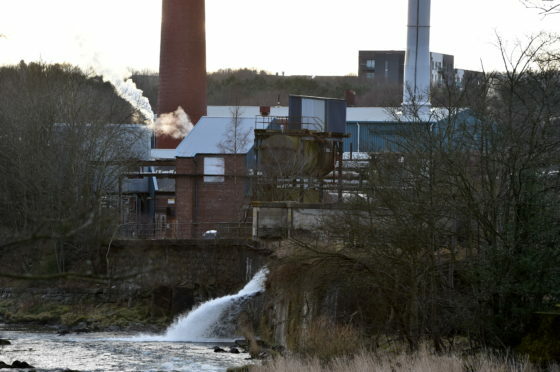 One of the last remaining paper mills in the north-east of Scotland is desperately seeking a new owner – prompting fears over the future of 500 jobs. Arjowiggins’ Stoneywood Mill has been a fixture on the River Don for more than 300 years. But as a result of “deteriorated market conditions” the sale fell through, putting the company back on the market again just days after Christmas. It was understood Sequana was to be left with proceeds of around £17m following the sale, after debts of around £93m were paid. However, due to the deal collapsing Arjowiggins and some of its French subsidiaries formally filed for receivership in France on January 7. A safeguard procedure was placed on Arjowiggins Papers and Arjowiggins Creative Papers – which includes Stoneywood Mill – due to their profitability. A number of other related businesses were immediately closed down. Business, Fairwork and Skills Minister Jamie Hepburn has vowed to “exhaust all possible outcomes” to find a solution for the company and its staff. He has held emergency talks with company bosses, and said they were “hopeful” they would be able to safeguard jobs in Aberdeen. He said: “I am concerned to learn of the situation with Arjowiggins based in Aberdeen. I have spoken directly with the managing director of Arjowiggins and the general manager, Stoneywood Mill and communicated our full support. Our focus at this stage, is on supporting the business and doing all we can to try to minimise the impact on the workforce. “My officials in Scottish Enterprise have been in contact with the management at Arjowiggins to support the company in its plans going forward to secure a new buyer. Unfortunately, the negotiations initiated in July 2018 with Fineska BV (the Andlinger & Company group) for the sale of Arjowiggins’ Graphic and Creative Papers businesses ceased due to market trading conditions outwith the control of the company. Aberdeen Donside MSP Mark McDonald described the news was a “huge blow” to the north-east economy, local economy and the hundreds of employees who work there. He said: “This is a huge blow to the north-east economy, the local community, and to the 500 or so employees at Stoneywood Mill. The collapse of the takeover deal is a massive disappointment, and it is vital that every effort is made to secure a buyer for the business given its profitability. One concerned worker said staff had been told they only have guaranteed employment for the next three months. He said: “I’ve worked here for more than 20 years and things have never been this bad. We are the only surviving paper mill in the city and if we don’t find a buyer it looks like we’ll be the last. “It’s a close place to work and everyone is just devastated at the thought of losing their jobs.